A large flock of Redwings settled in a group of trees near the Albert Memorial. Their chattering could be heard from some distance away. 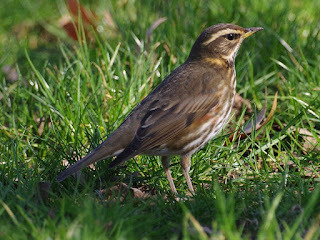 There were still plenty of Redwings on the Parade Ground. 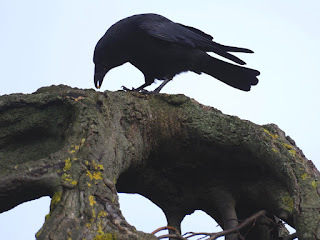 Light rain softened the soil, bringing up worms for them. 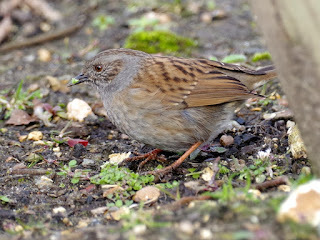 A Dunnock looked for tiny creatures at the edge of the terrace of the Lido restaurant. It picked up a beakful of leaves, but there was probably a larva among them. A Carrion Crow had also found something to eat on the weeping beech near the Rose Garden. There was a Peregrine on the barracks tower. 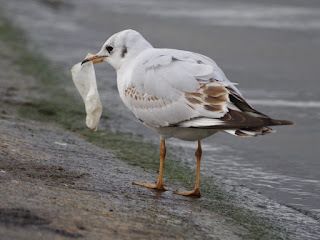 A young Black-Headed Gull played with a bit of soggy paper. 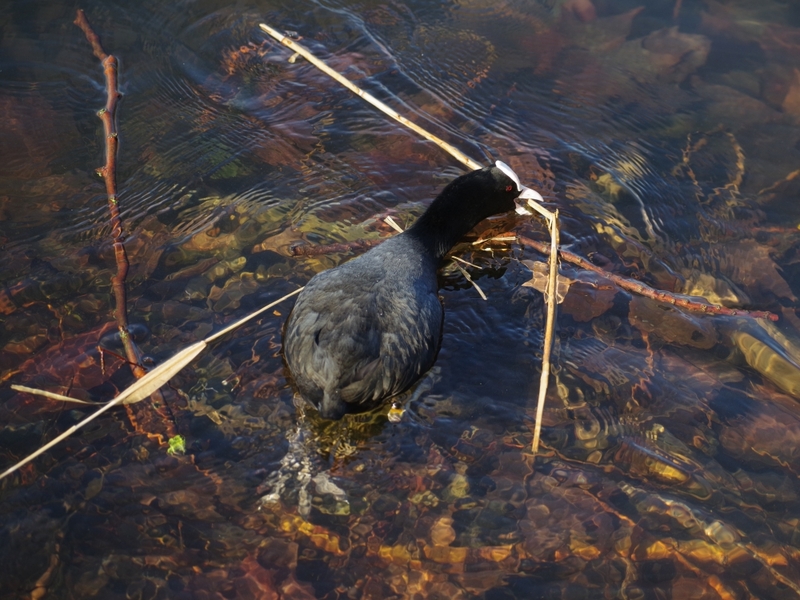 The Coot nest being built up from the bottom in 3 ft of water is now high enough to stand on, but there is still plenty of work for these indefatigable birds to do. 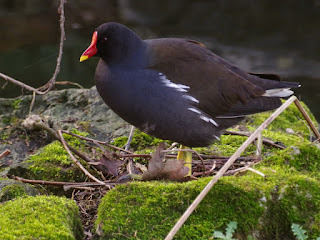 A Moorhen was starting to make a nest on the rock in the little stream in the Dell. 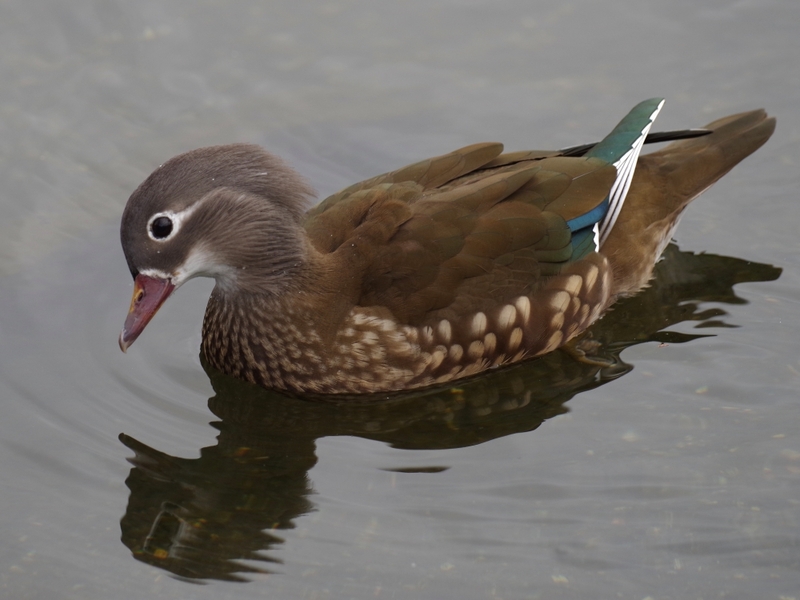 One female Mandarin could be seen at Peter Pan, but there was no sign of her mate. 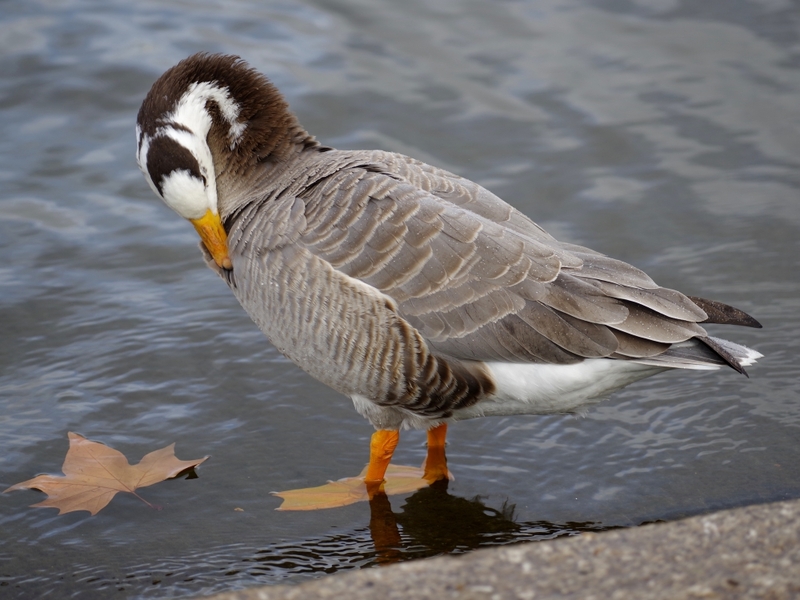 A Bar-Headed--Greylag hybrid goose preened beside the Serpentine. 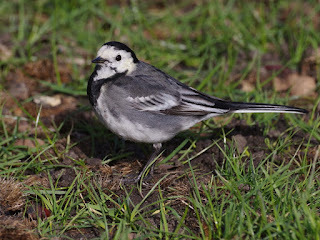 Then off to St James's Park again. 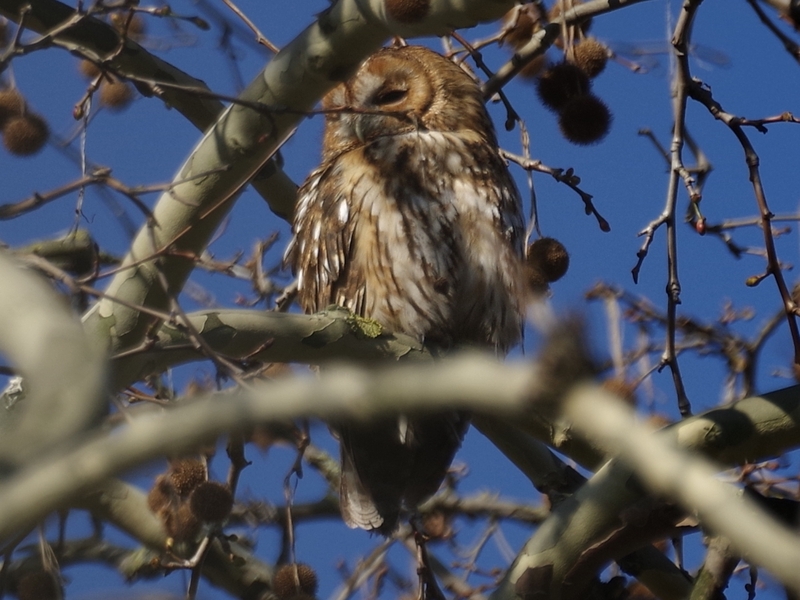 One adult Tawny Owl could be seen here today, slightly disarranged by the breeze. 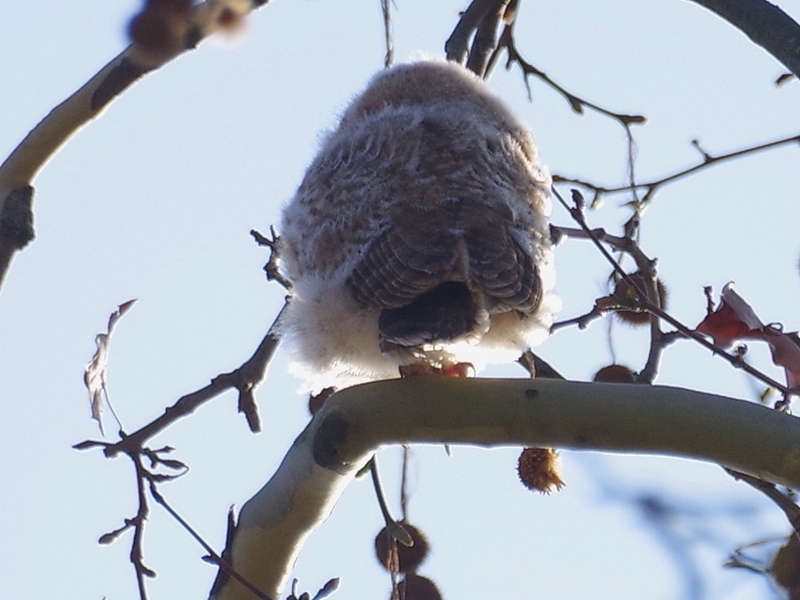 One of the owlets was partly visible behind a branch. 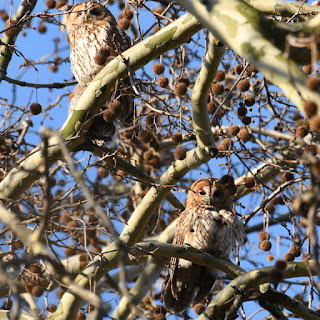 Here are Tom's best two pictures of the family from yesterday afternoon -- well worth his patient wait. 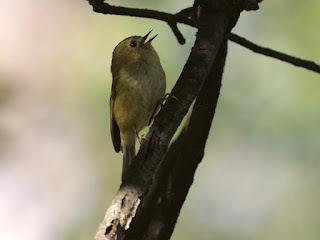 Though the view of the owls was not so good today, I got a picture of a Goldcrest flitting around under the tree. 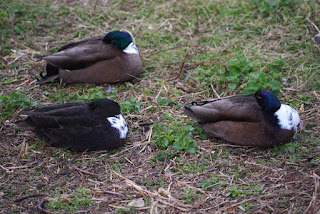 There are three dark Mallards in St James's Park too, one of them almost black. 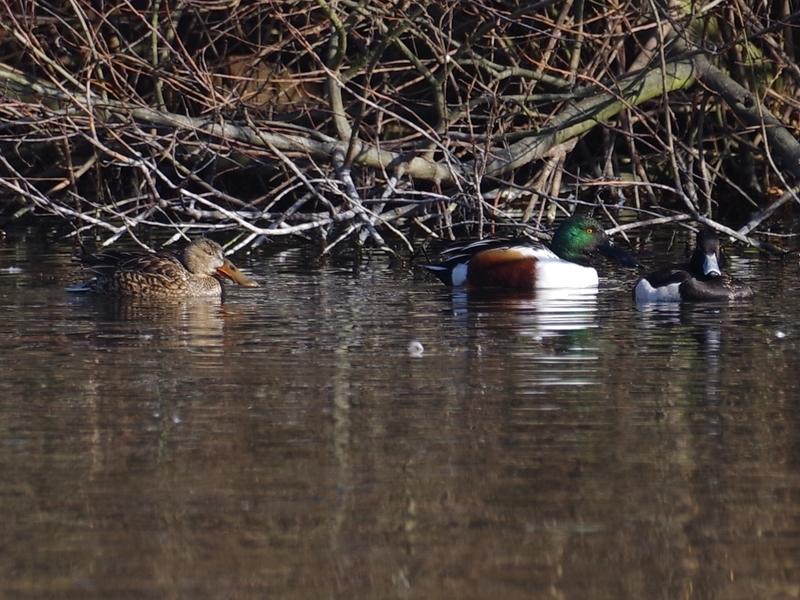 Interesting birds, but they lack the splendid markings of a normal Mallard drake. 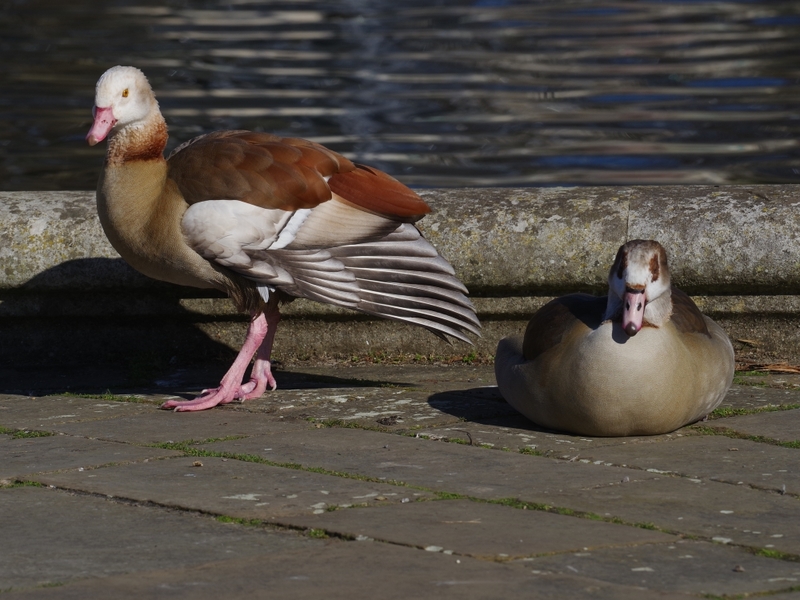 This one was preening on the Serpentine. Only a brief visit to the park today, and then off to St James's Park to try to find the Tawny Owls. There was a Great Spotted Woodpecker on a tree in the woodland on the east side of the Long Water. 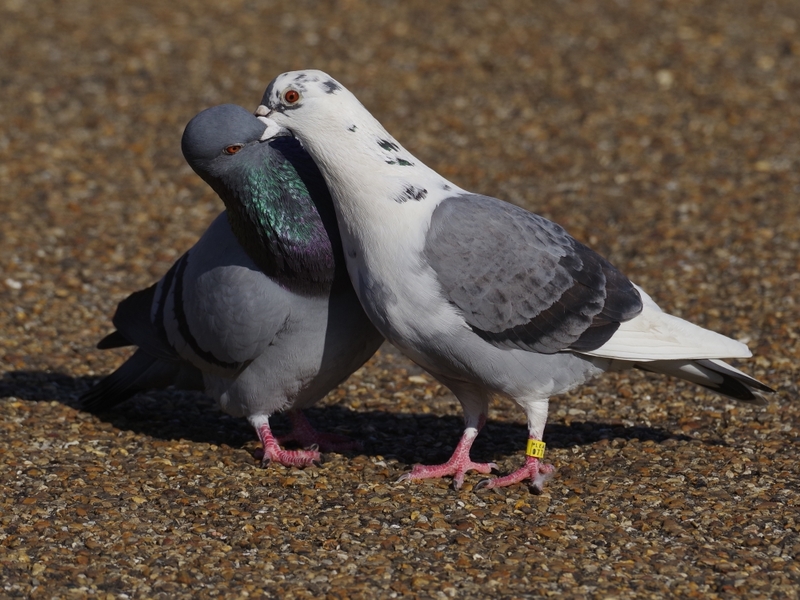 Two pigeons were necking in a very energetic way that looked more like a wrestling match than an amorous display. 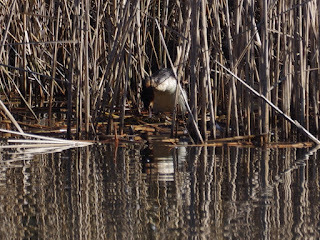 A Cormorant on the Long Water washed while oddly holding a bit of bark in its beak. A Mute Swan inspected a baby in the Italian Garden. 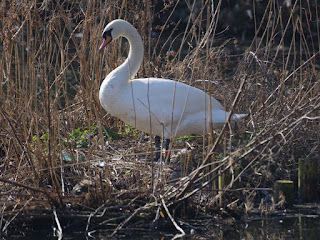 This swan was chased here by the dominant male, who was standing proudly on the island made for his mate to nest on. 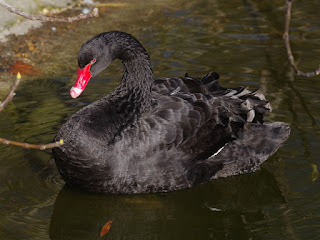 The banished swan can get back on to the lake when it wants, but has to wait till the coast is clear. Spring blossom swayed gently in the breeze. A Wood Pigeon enjoyed it for a more practical reason. 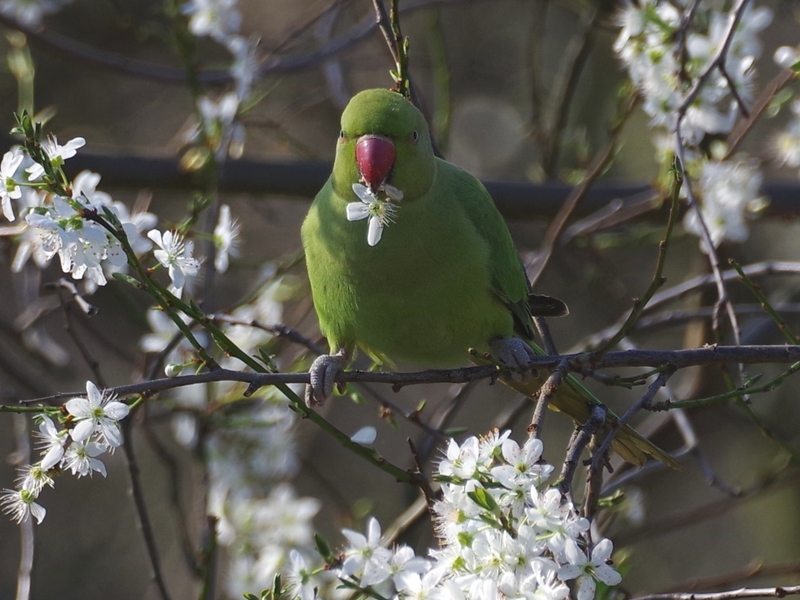 A Rose-Ringed Parakeet had the same idea. 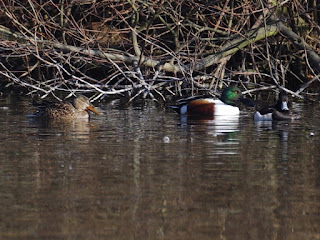 The first leaves are just beginning to appear on some of the trees beside the Long Water. 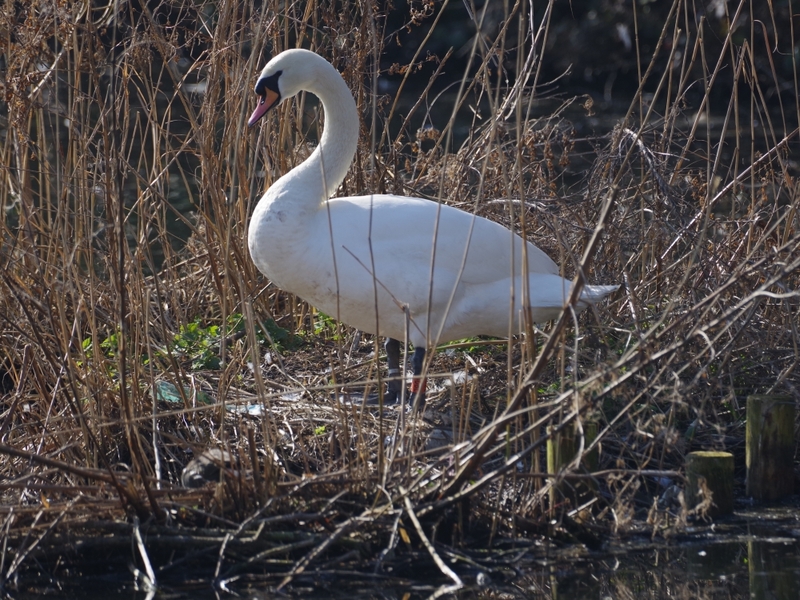 This is the view looking north from the bridge. 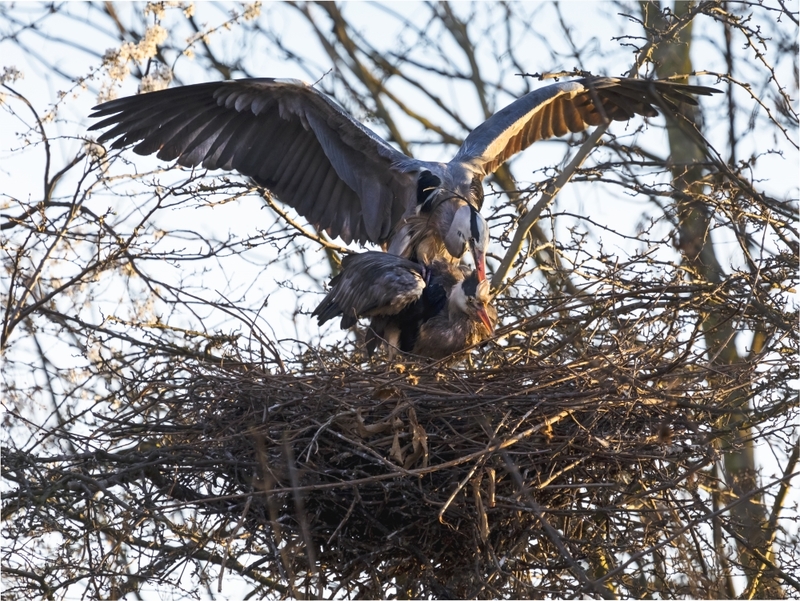 A Grey Heron walked across the top of the waterfall in the Dell. 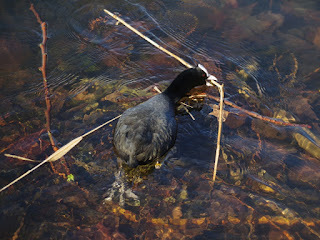 I don't think there are any fish for it in this tiny pool, but there are certainly rats in the surrounding shrubbery. ... and I think this Black Swan is our old friend, judging by the shape of the white bar across the top of the bill. 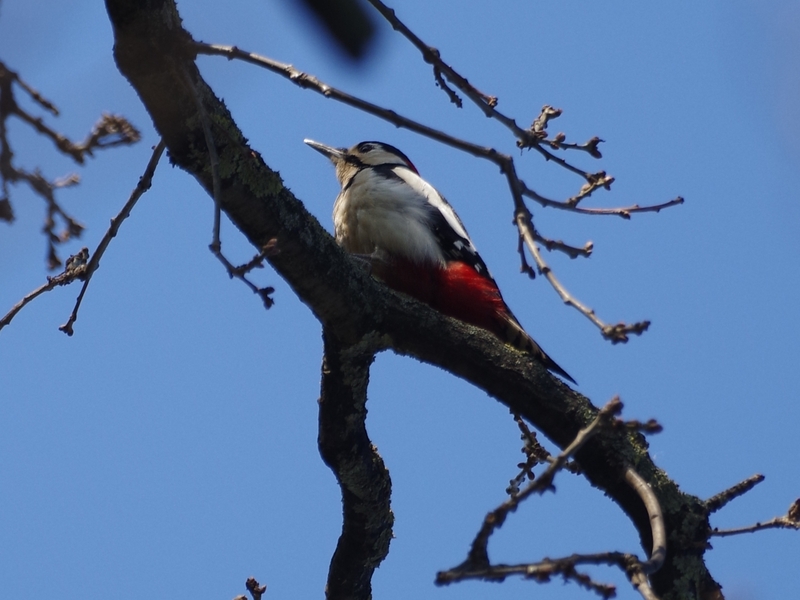 ... and the other was by itself higher up the tree, only photographable from the back. ... but it was only possible to get both of them facing sideways. We may get better pictures later. 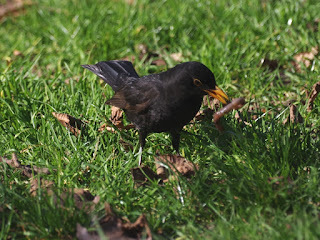 Tom stayed in the park to have a go. 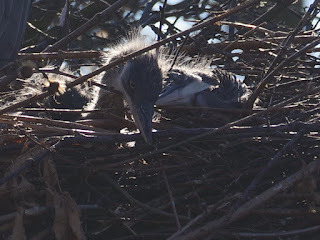 I though there were only two Grey Heron chicks in this nest, but a third one has appeared. 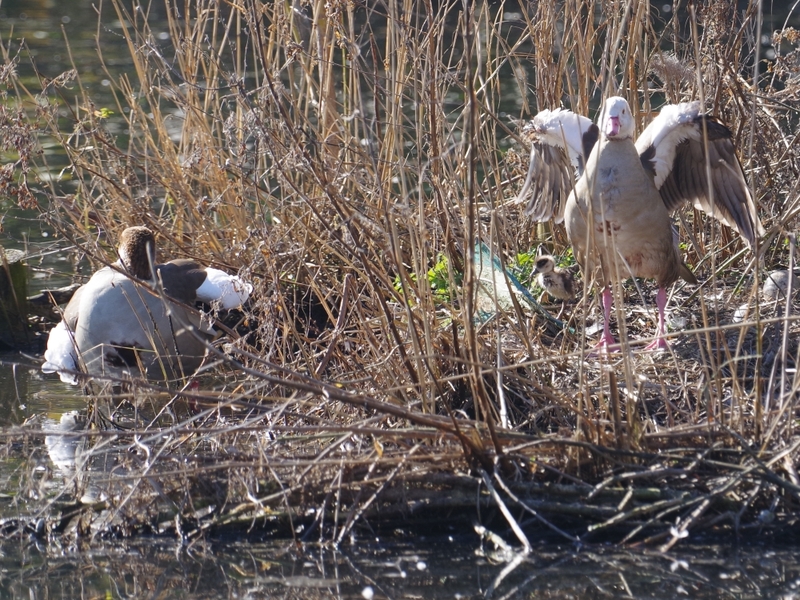 They are a boisterous bunch. 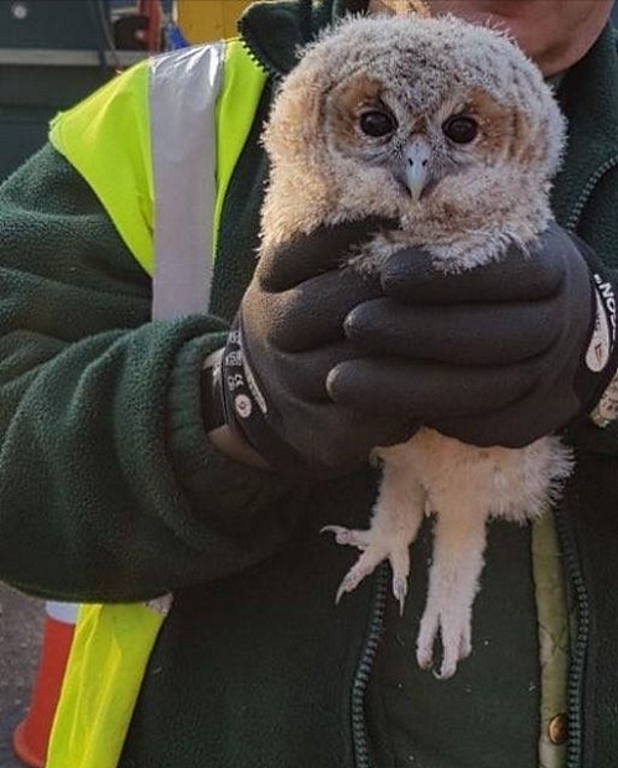 You'd think their parents would think they had enough chicks already. 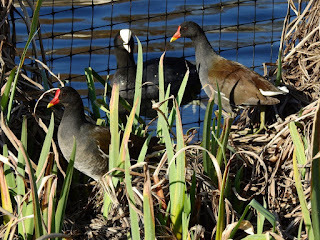 This splendid picture was taken by Virginia in the late afternoon when the sun wasn't directly behind them. 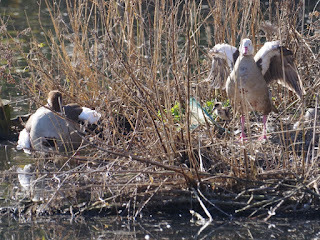 I saw the hopeless Egyptian pair on the little island in the Long Water that was made for the Mute Swans to nest on, and took a routine photograph. 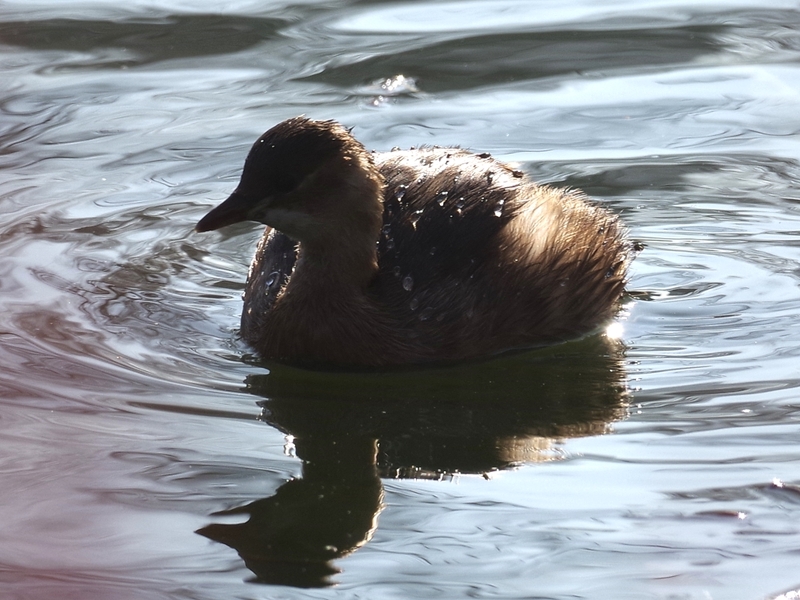 When I looked at it later, it showed one gosling. 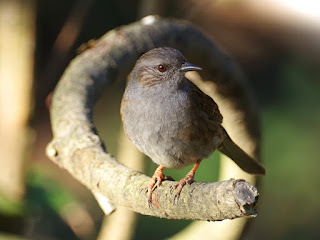 So they did nest after all. 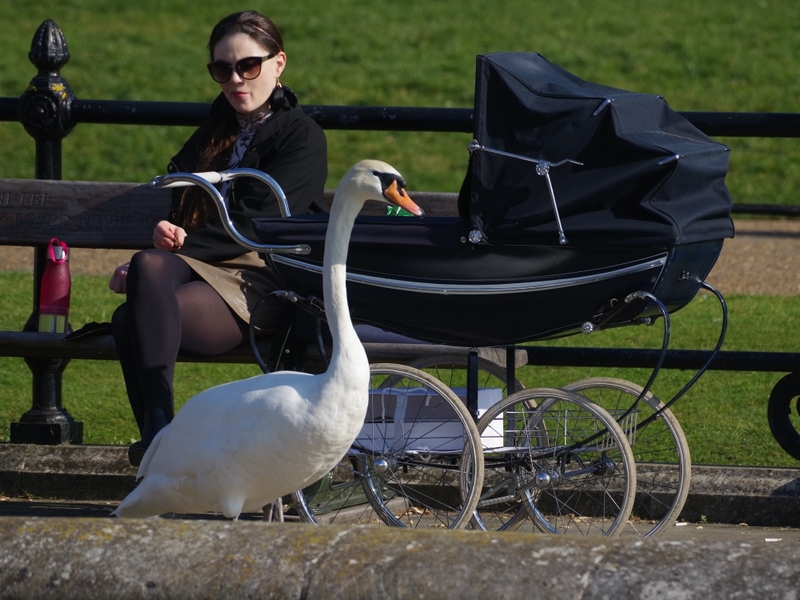 Meanwhile, Marie Gill had told me about the gosling. I went back but couldn't find it, However, Ahmet Amerikali did, and got a good photograph. 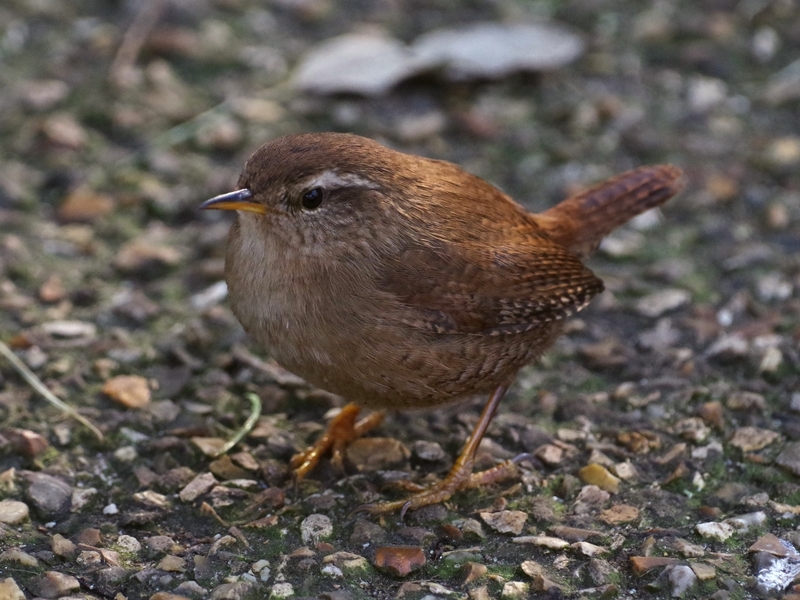 Sadly, the little Egyptian is most unlikely to survive. This is the pair that have never managed to raise a single chick in 15 years of breeding. 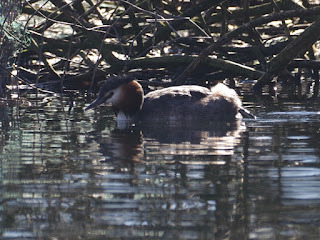 There is one pair of Shovellers still on the Long Water. 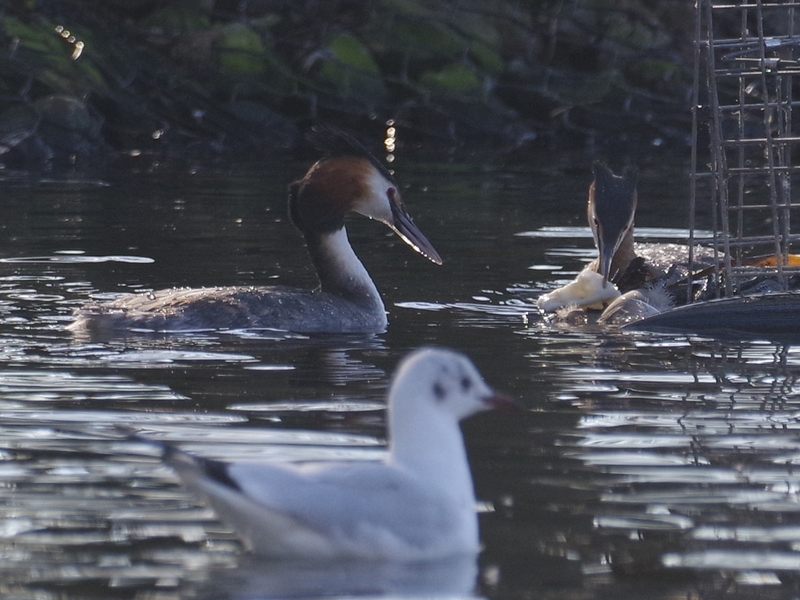 The Great Crested Grebes at the west end of the island are still trying to build a nest against the floating basket. 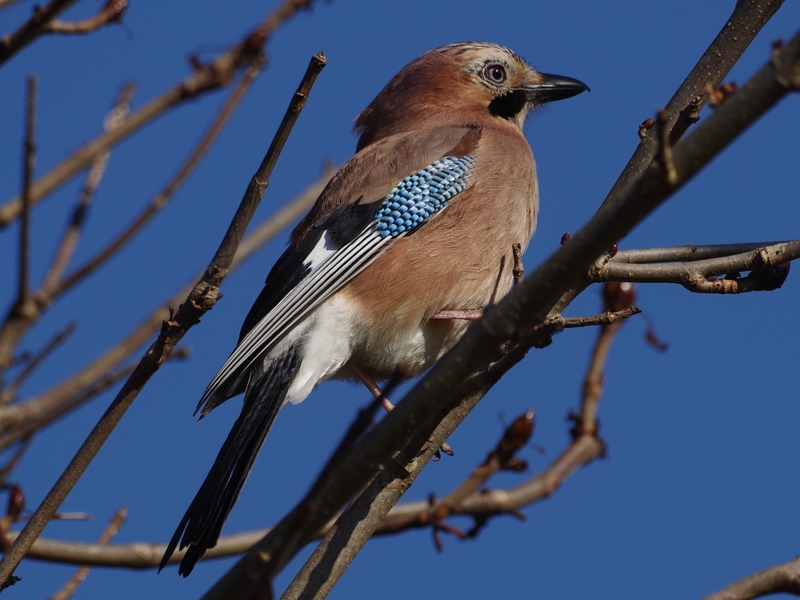 Somehow they had managed to stick a large branch through the mesh, and were draping weed over it in a vague but hopeful way. 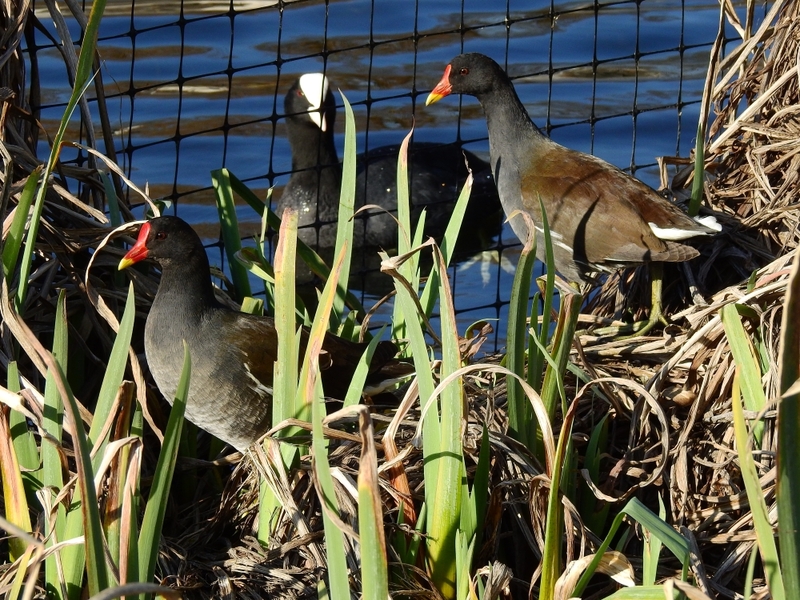 A Coot in the Italian Garden eyed a pair of Moorhens enviously. 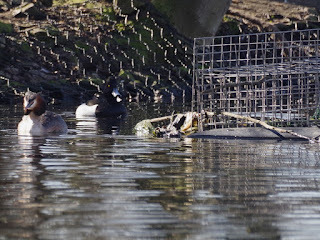 Thanks to their climbing ability they can nest in the planters, but Coots find it hard to get in and out. It went off and tried to make a nest on the outflow pipe of one of the fountains. 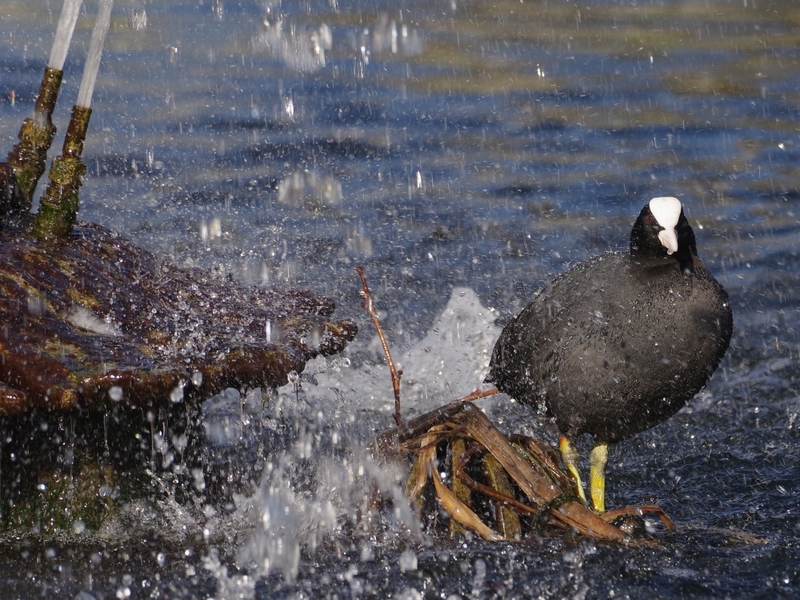 Even a Coot couldn't succeed here. A Black-Headed Gull in full breeding plumage was throwing its weight around beside the Serpentine. The Little Owl near the Henry Moore sculpture was out on a branch. 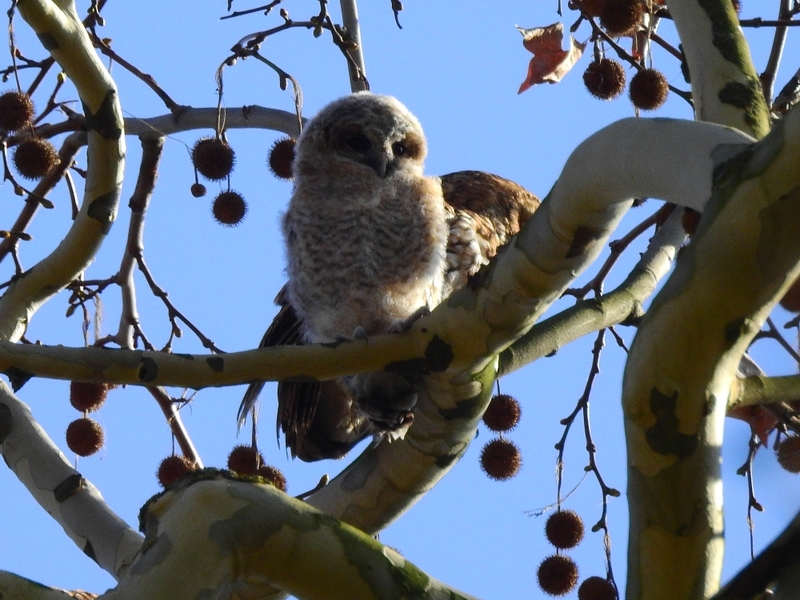 I tried not to disturb her, but she really doesn't like cameras and flew away. 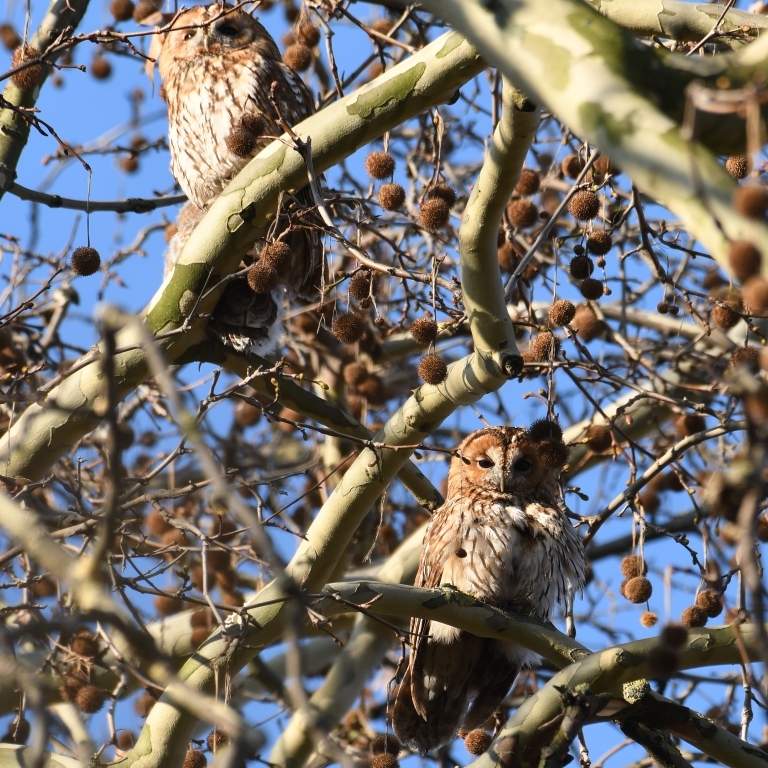 After the poor result of our night-time search for Tawny Owls a few days ago, which yielded just one pair in an inaccessible place, we're envious of the people at St James's Park who have a Tawny family, the first in 12 years. 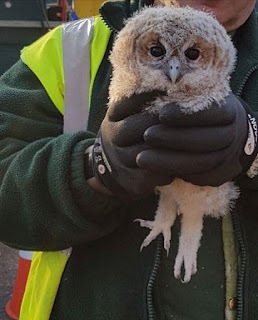 It was discovered when the gardeners found an owlet sitting on a tractor. 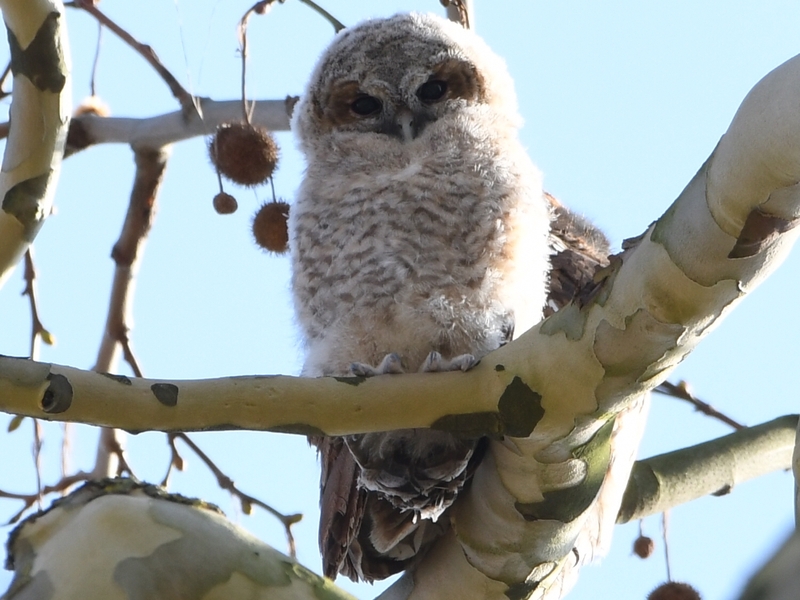 The owlet was successfully returned to its mother. 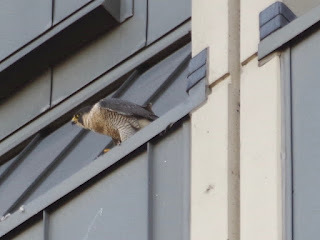 The female Peregrine on the Household Cavalry barracks tower had seen her mate fly past and became restless, looking around and then flying away. There are still some Redwings on the Parade Ground. 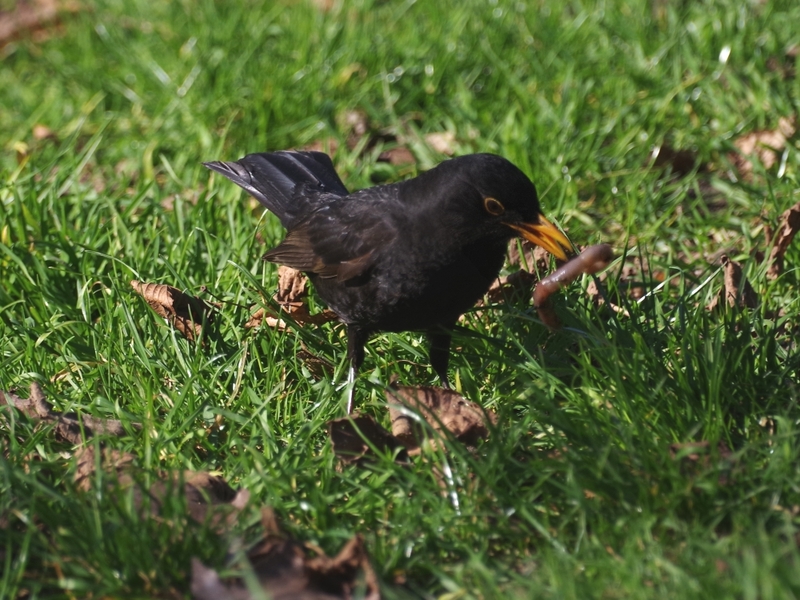 But it was a Blackbird that got the biggest worm here. A Dunnock preened on a holly tree near the bridge. 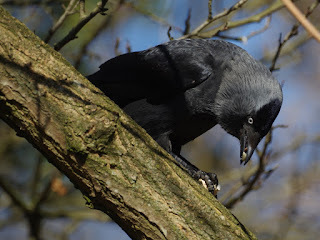 A Jackdaw shelled a peanut on a branch. A Jay waited to be given one. 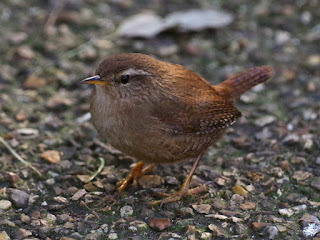 ... the other one came me right up and dashed around my feet. A Dunnock was framed by a twisted branch near the bridge. 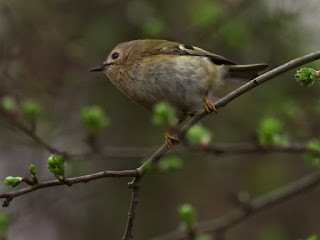 A Goldcrest sang in the Rose Garden. 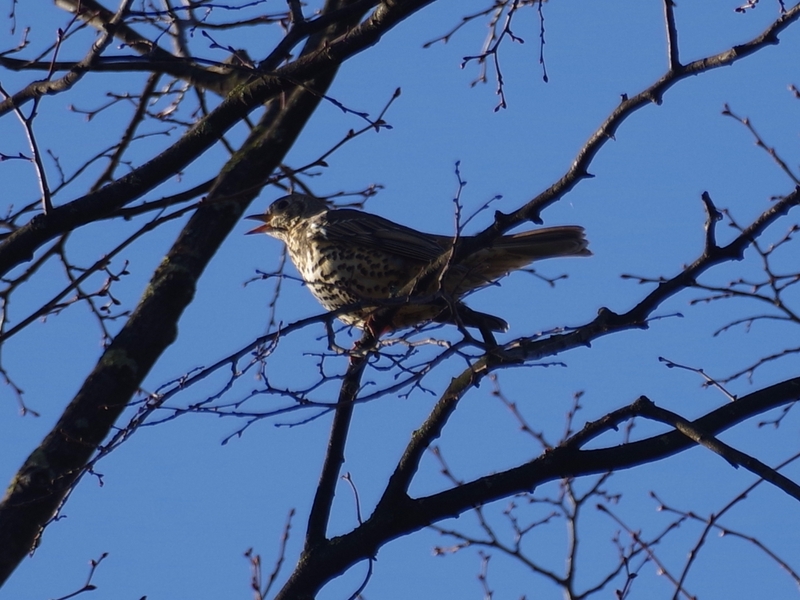 One of the pair of Mistle Thrushes in the Dell perched in a treetop and rattled furiously at a Magpie on the ground below. I couldn't find any Redwings or Fieldfares on the Parade Ground, but there was a pair of Pied Wagtails running around and calling to each other. 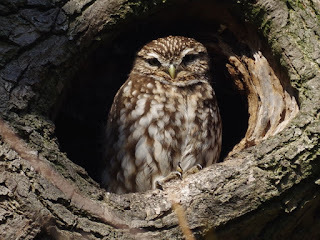 The Little Owl near the Albert Memorial is back in possession of her hole after trouble with squirrels, Stock Doves, and even a pair of Mallards insolently perched on top of the branch. 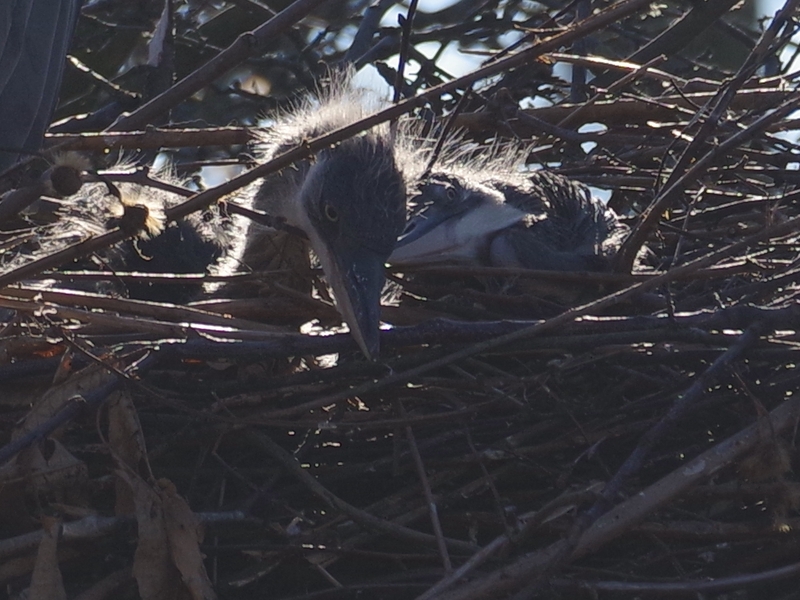 The Grey Heron chicks peered curiously out of their nest. 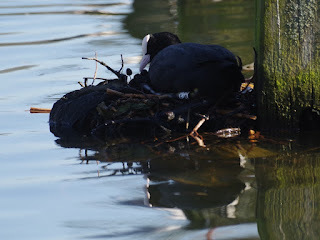 The Coots at the east end of the Serpentine have now built up their nest to within a few inches of the surface, and are tirelessly adding more twigs to the structure. A pair on the Long Water have built yet another nest against one of the posts at Peter Pan. These always fail, as big gulls sit expectantly on the posts and take advantage of a moment's inattention. 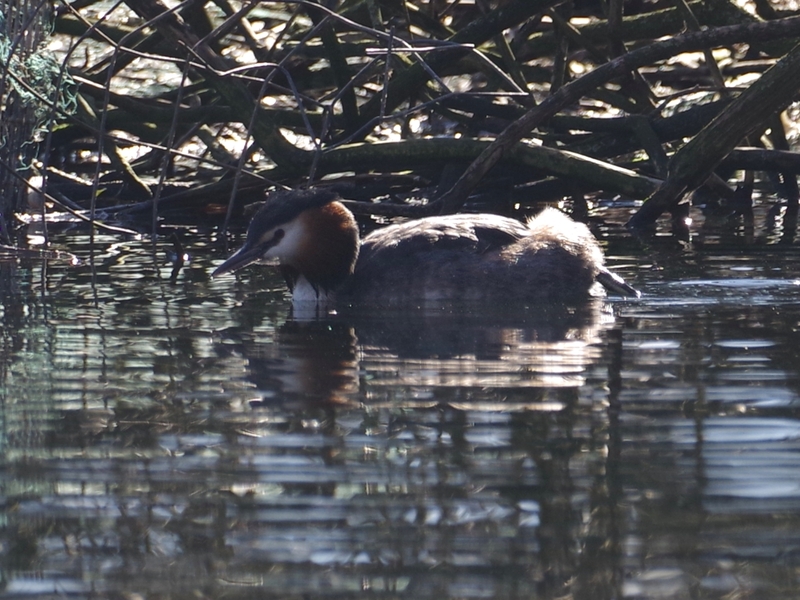 There's a new Great Crested Grebe nest in a reed bed on the east side of the Long Water, here photographed from the other side of the lake. 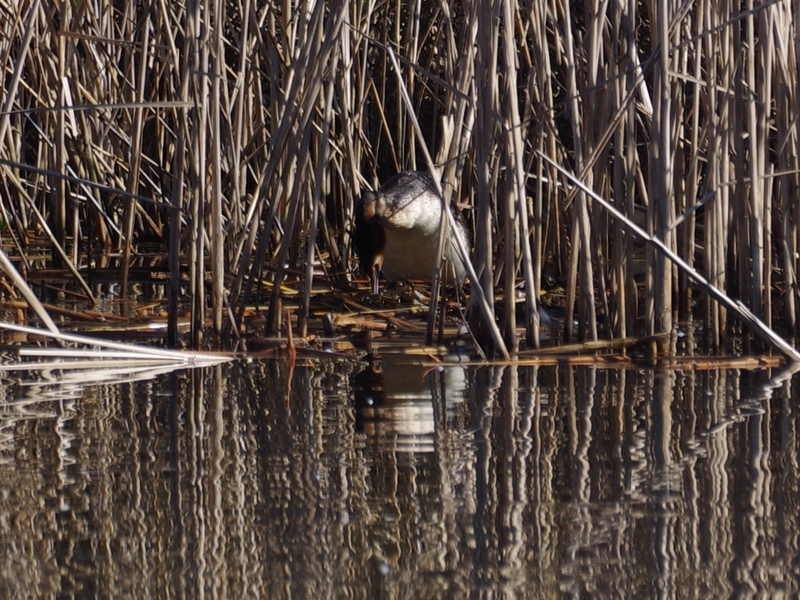 Only a few of the grebes here seem to realise that reeds are a good material to make nests from. 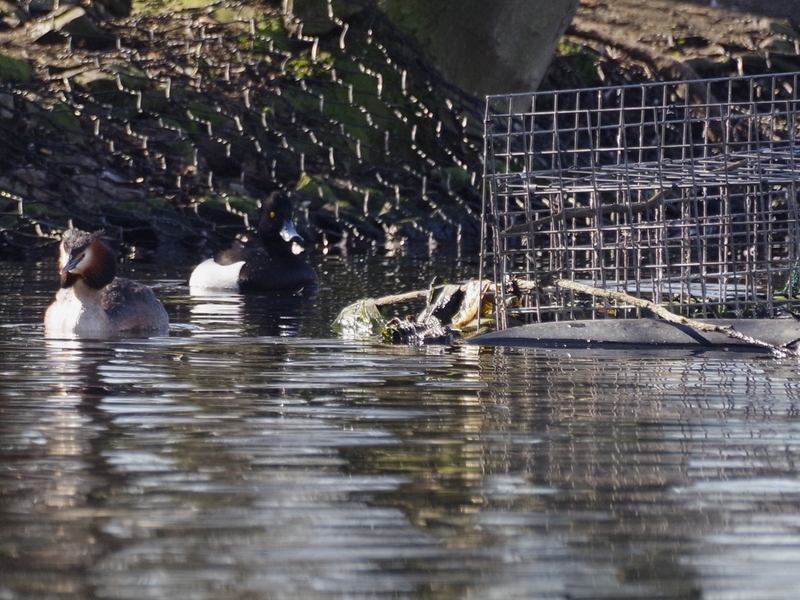 The grebes at the west end of the island are making another attempt at attaching a nest to the wire basket, which will probably collapse yet again. 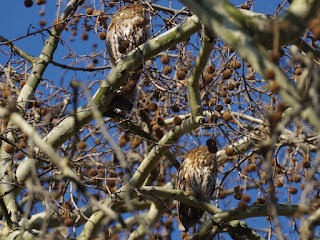 The nest at the east end also fell apart, but the pair were hanging around the area ready to start again. 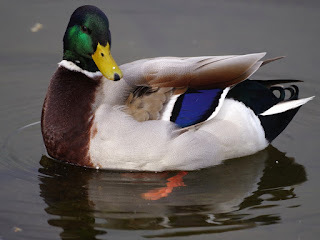 They have succeeded in this place, so it's not hopeless. 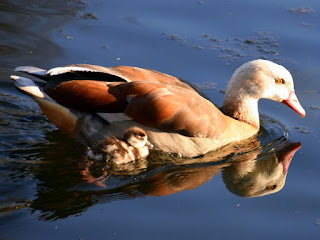 Egyptian Geese have no difficulty with their nests in tree holes, but looking after their young is another matter. This is the pair that have never succeeded in 15 years, in their usual place in the Italian Garden. 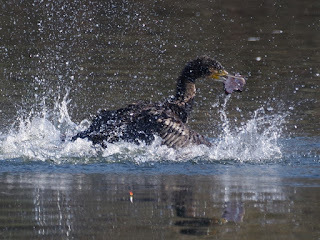 Recently the female disappeared for a couple of weeks, and may have been making another doomed attempt, but she seems to have given up. She is a very blonde bird, almost as pale as Blondie on the Serpentine. One of the two Bar-Headed--Greylag Goose hybrids was preening on the shore. If you twitch the branches of a flowering yew tree it releases thick clouds of pollen. 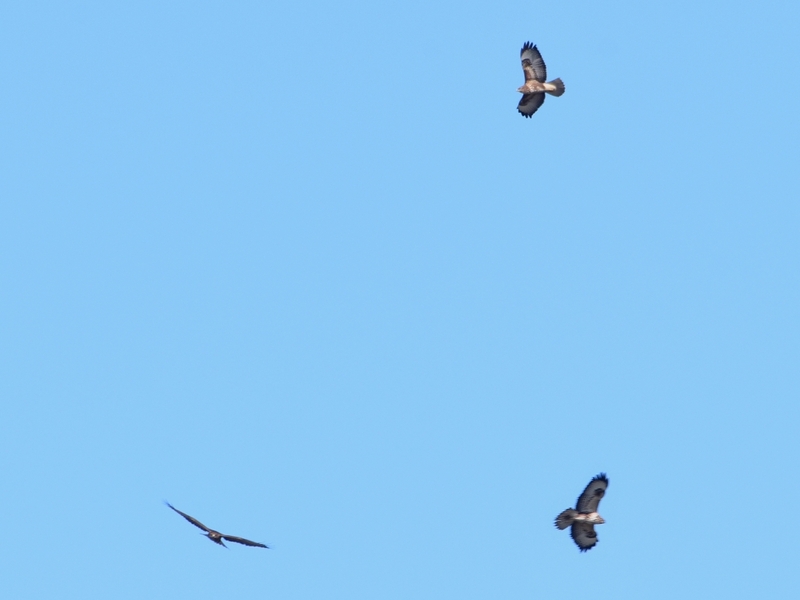 Tom was at Rainham yesterday, where he photographed three Buzzards circling together. 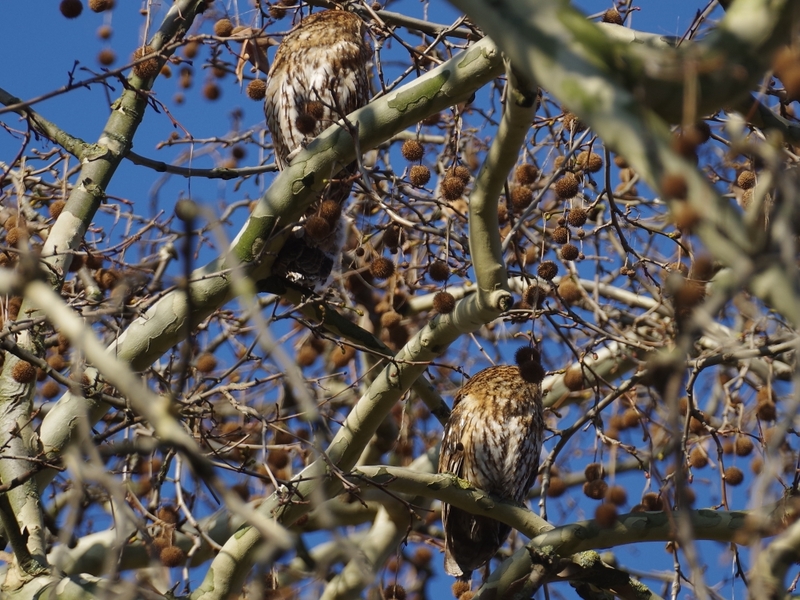 There were also reports of a group of three Buzzards from Richmond Park and Box Hill, which may well have been the same ones. They would have had to cross an area wider than the whole of Greater London, but that is nothing to a Buzzard. 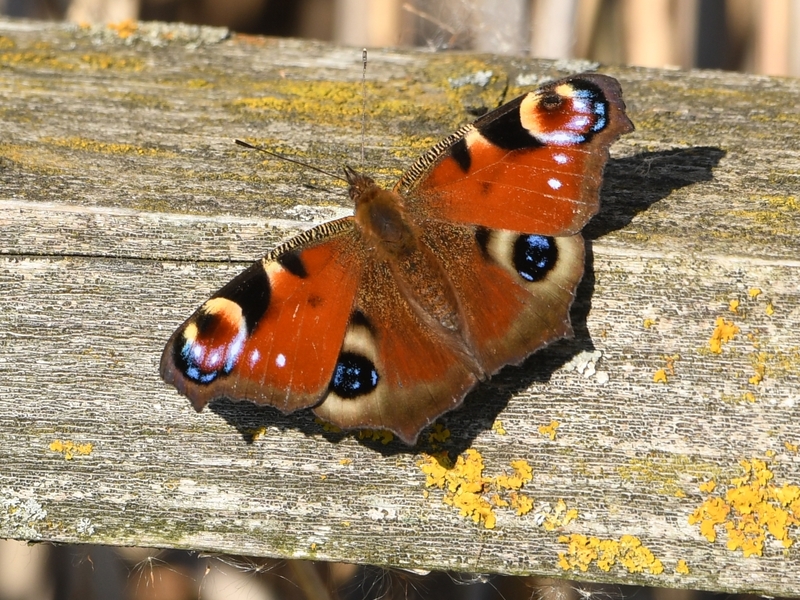 He also saw an early Peacock butterfly.